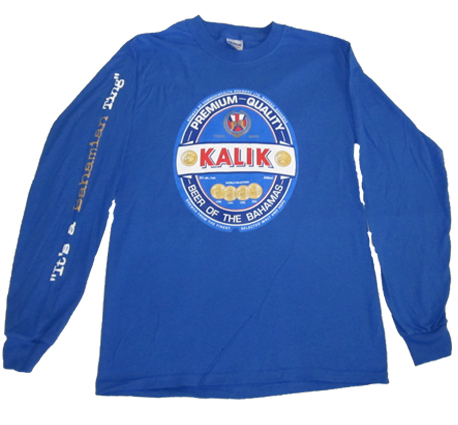 Kalik is the #1 beer in the Bahamas. And if you have ever tasted it, you know why. It’s a great beer and it stands for a relaxed, good time. These are 100% cotton T-shirts with “It’s a Bahamian Ting” down the right arm and a small ‘Beer of the Bahamas’ logo under the collar on the back.